Take U.S. Highway 42 to Wolf Pen Branch and you will find Green Spring. Green Spring is a well-established Louisville neighborhood with homes built in the 1960s and 1970s. 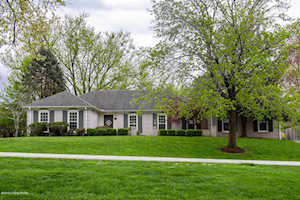 The most common style of home in this neighborhood is two-story brick traditional style homes. However, there are some ranch-style and contemporary style homes. Green Spring homes range from $230,000 to $315,000. Lots in Green Spring range from 0.20 to 0.50 acres. The outside of Green Spring homes has a lot of curb appeal. Most homes have a nicely maintained landscaping and mature trees in the front yard. The Hollinden Team updates this search for Green Spring homes on a daily basis from the Louisville MLS. Feel free to use the Advance Search Tools of our Louisville MLS to find other homes for sale. Click the map to the left to view each home for sale in Green Spring. There is a satellite view button in upper right. Above grade square ranges from 2,000 to 2,800 square feet. In addition, most homes have basements as well. Two to three full bathrooms and three to six bedrooms are usually what you’ll see in these homes. Some of the homes that have sold in the last few years have been updated. However, some homes have needed some work. Living in Green Spring would be a pleasure due to its proximity to shopping, schools, expressways, etc. It is a short hop to the Gene Snyder Freeway and I-71. Two close by shopping centers to Green Spring are The Paddock Shops and Westport Village. Both shopping centers have many clothing stores and restaurants to choose from. For grocery shopping, there is both a Kroger and Walmart in close by. Some of the restaurants around Green Spring are Mitchell’s Fish Market, Martini Italian Bistro, Drake’s, Potbelly Sandwich Shop, 888 Great Wall, Stoney River, and Zoe's Kitchen. Golfers would love Green Spring as Standard Country Club is located on Barbour Lane. Green Spring is also a short distance from Prospect which includes Nevel Meade Golf Course and Hunting Creek Country Club. Green Spring is in the Jefferson County School District. The following schools are nearby Green Spring: Dunn Elementary School, Wilder Elementary, Zachary Taylor Elementary, Kammerer Middle School, and Ballard High School. The following private schools are nearby Green Spring: Kentucky Country Day School, Montessori School of Louisville. Portland Christian School, and Virginia Chance School. 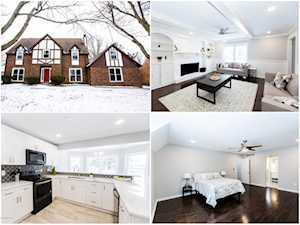 If you would like to learn more or have any questions about any of these Green Spring houses for sale, or others in the zip code 40241, just click the "Request More Information" button on any property detail page. The Hollinden Team can provide you with past sale information, comparables, disclosures, PVA assessment, and tax information – we would love to answer any real estate questions you have. 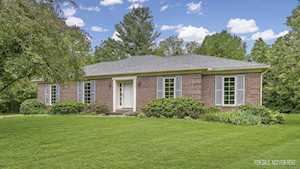 You can reach Real Estate Agent Tim Hollinden at 502-429-3866 for more information on these houses for sale in Green Spring.